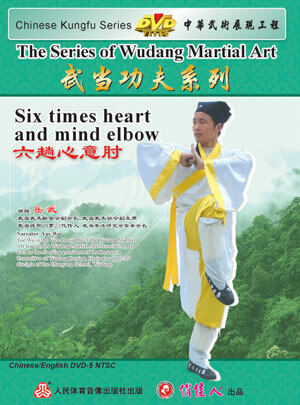 Six times Heart and Mind Elbow is a classical skill of beat inside Wudang, and was taught to Yue Wu by a proficient of this action, an anchoret of Wudang, in 1990s. This component is divided into 3 parts: one line fist, heart and mind elbow, and natural beating. It is said that this component has been hide in the masses for three hundred years. The characteristic of it is to beat by elbow. The formula is surprising and useful. And this action is short and simple which can be practice in a small place.